EPR samples with S=1/2 electronic spins exhibiting a narrow signal at G=2 and require magnetic fields of only ca. 3.5 T. However, EPR spectra from S>1/2 spins are typically much broader and have spectral features that spread over magnetic field range of several Tesla. Such fields could be easily achieved with superconducting magnets, but, unlike NMR, these magnets cannot operate in a persistent mode in order to satisfy a wide range of resonant fields required by the experiment. Operating and maintaining conventional passively cooled superconducting magnets in EPR laboratories requires frequent transfer of cryogens by trained personnel. An important feature of the Cryogenic W-band EPR system is that it is virtually maintenance-free because it is based on a cryogen-free technology and therefore does not require any liquid cryogens (liquid helium or nitrogen) for operation. 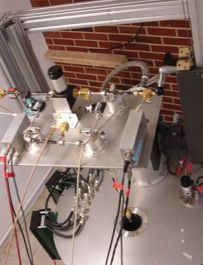 The actively-cooled superconducting magnets are ideally suited for a wide range HF EPR experiments including studies of spin-labeled nucleic acids and proteins, single-molecule magnets, and metallo-proteins. 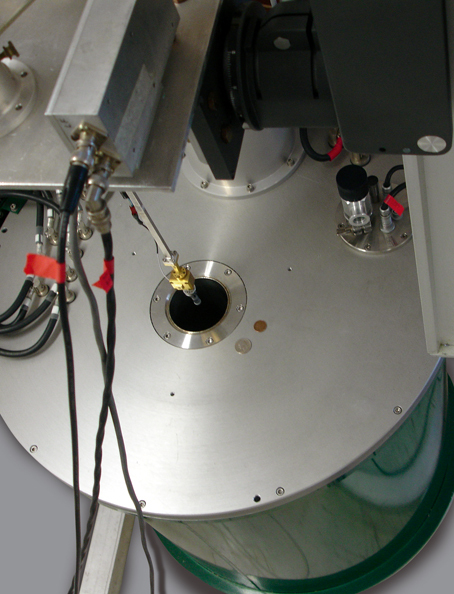 Currently Cryogenic offers the HF EPR spectrometers with a mm-wave bridge operating at a central frequency of 94.3 GHz; however, higher field systems operating at higher frequencies can be custom made based on customer requests. The 95 GHz system has been chosen as the most versatile, cost-efficient, robust, and simple in operation. All magnets are suitable for ramping the magnetic field over the entire range, precision scans around the target field, and/or holding the field at the target value. 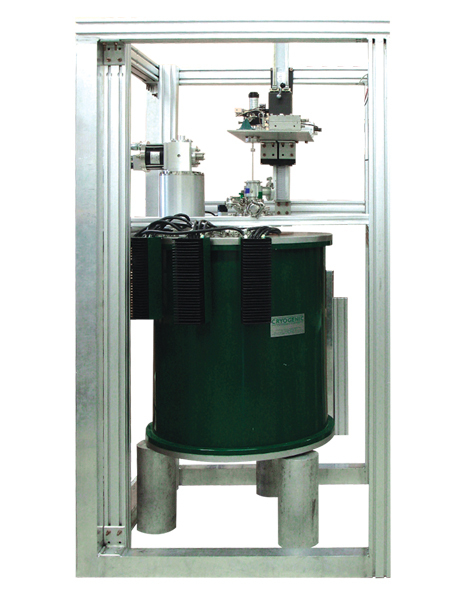 The magnets have an OPTIONAL separate superconducting coil for precision sweeping of the magnetic field. The main solenoid can be operated in either persistent or non-persistent mode for EPR experiments. In the non-persistent mode of operation the magnetic field can be stabilized to better than 0.3 ppm/hr over 15 hr period by employing a transducer-controlled power supply. Such stability is sufficient for many HF EPR experiments.